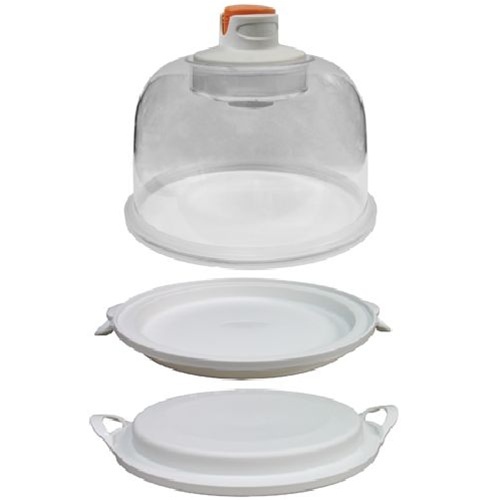 You�re viewing our Weston AutoFresh Vacuum Dome food storage container. Quite possibly the biggest money saver you can find for the price. Keep the wholesome flavors of your favorite foods intact and preserve their freshness with Weston's AutoFresh Vacuum Dome. The container automatically prevents air from entering to keep your food's natural moisture intact. The container can be used both commercially and at home, saving kitchen space while keeping breads, fruits and vegetables fresher for longer. The unit has a seven quart capacity and uses battery power to suction air out, ensuring your foods last longer and saving you money. Our food storage container comes with a manufacturer warranty. If you have questions about our products we are here to help you. 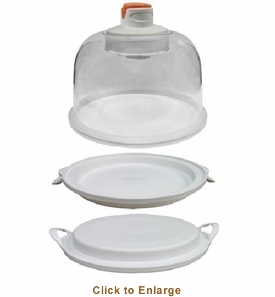 Scroll down to view our Weston AutoFresh Vacuum Dome food storage container. Dimensions: 7" x 11.1" x 11"